Our Terrace Pavilions offer a contemporary take on our popular Deluxe pavilion design featuring an open and airy ground floor living plan with tropical décor. Our Pool Pavilions provide a heightened sense of luxury with the addition of a 3 x 8 meter private pool situated in a lushly-landscaped tropical garden. The spacious two-bedroom Family Pavilions with Pool offer a luxurious freshwater, 3 x 8 meter private pool set in a spectacular enclosed tropical garden. 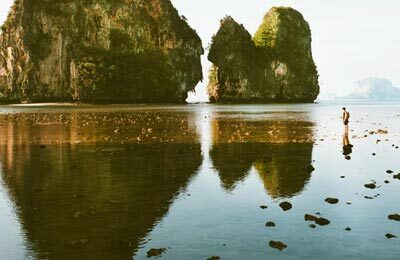 Rayavadee is located at the tip of the Phranang Peninsula, on Thailand’s Andaman coastline in Krabi Province. Phuket International Airport is 2 hour and 15 minutes’ drive from the resort pier. 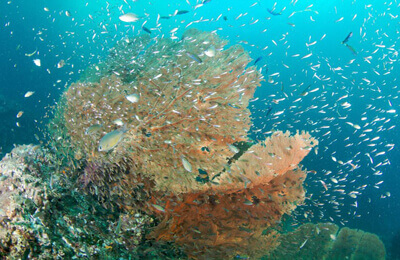 Phi Phi Island is a 35 minute speedboat trip from Railay Beach. There are numerous daily flights (60 minutes) between Bangkok and Krabi Airport. The transfer time from the airport to the pier is 25 minutes and from the pier to the resort by boat takes an additional 20 minutes.